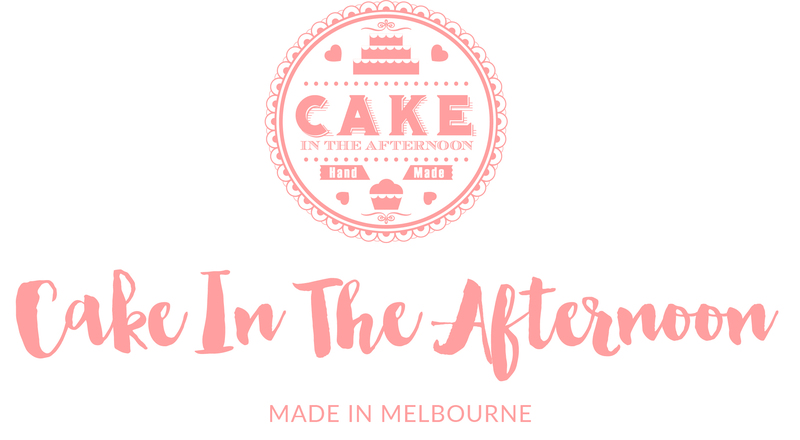 Cake In The Afternoon delivers our products Australia wide through our website. Standard Australia Post or Sendle parcel delivery within Australia is charged at a flat rate of $12 for small parcels such as edible images. Orders for cookies will be considered large or bulky and will incur a higher shipping fee. Please feel free to contact us if you need further clarification. If you would like your parcel delivered by Express Post please let us know in the Comments section during the Checkout process – this will incur a higher delivery fee. Orders can be either delivered to Metro Melbourne at a cost of $30 per hour and 75c per KM to and from the destination, or collected from our premises at pre arranged times. All goods are photographed prior to collection and delivery. All orders are dispatched from Melbourne, VICTORIA using Australia Post or Sendle. Edible Image prints will be shipped 1 – 2 days after placing an order. Cookies are custom made and will be shipped as calculated when placing your order. Once shipped, your order will take 2-14 business days to arrive at its destination, depending on your location. On occasion, the dispatch time may take longer if we are waiting on goods from our suppliers. In this instance, you will receive an email notifying you of an estimated delivery time. Once we have dispatched your goods, you will receive a notification email containing a tracking number, which will allow you to track your parcel.